There is a huge amount of game on the 90,000 acre Ol Pejata Conservancy, including Kenya's largest population of black rhino, elephant, buffalo, giraffe, lions, cheetah and more. There are few vehicles on the Conservancy therefore game viewing is a very private and rewarding experience. 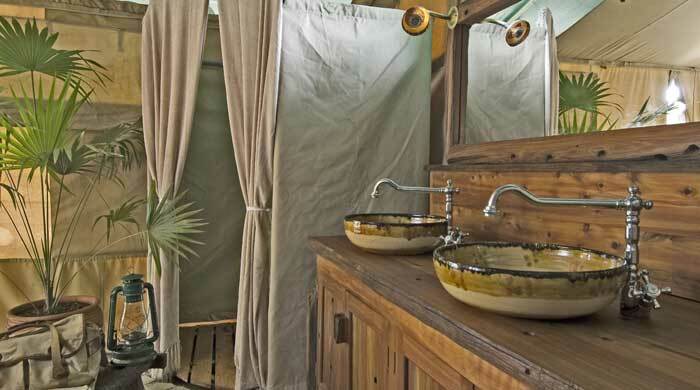 Kicheche Laikipia Camp consists of six luxurious tents which are custom designed and are fully insect-proof with en-suite bathrooms equipped with a dresser, flushing toilet and hot showers. There are comfortable chairs on each veranda overlooking the plains. 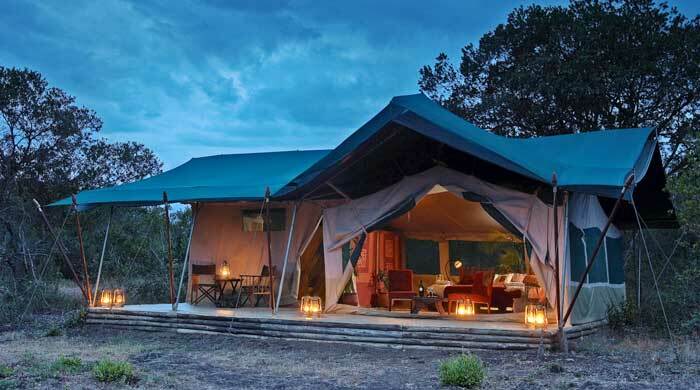 One tent can be converted into a triple on request. 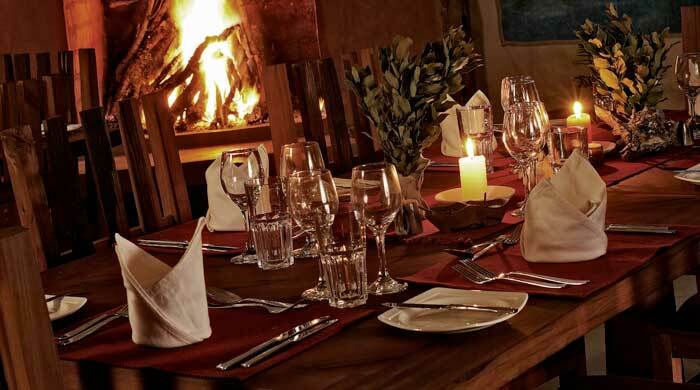 Guests meet around a camp fire in the evening for a pre-dinner drink and the chance to discuss the day's activities, before heading to either to the dining tent, which features two fireplaces for cooler evenings, or to an outside dining area where evening meals are served each night. Breakfast and lunch are also often served al fresco if the weather permits. 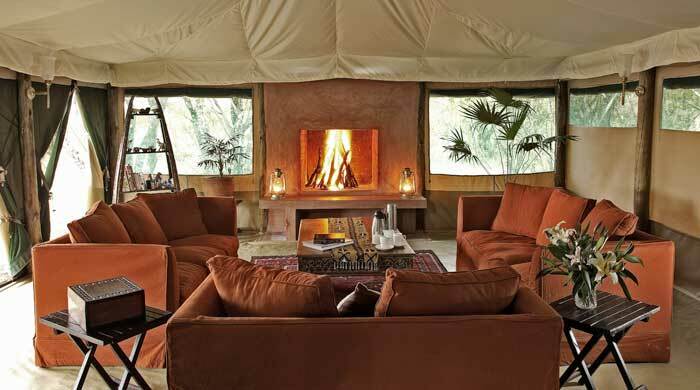 Enjoy a full selection of game-viewing activities including day and night game drives which focus on nocturnal species. There is also a Lion Tracking program which monitors the lions of the area. In addition, the Wildlife Educational Centre is interesting for both children and adults alike, and the Chimpanzee Sanctuary for orphaned chimps is an excellent venue to observe the two families and learn about the perils facing chimpanzees in the wild. 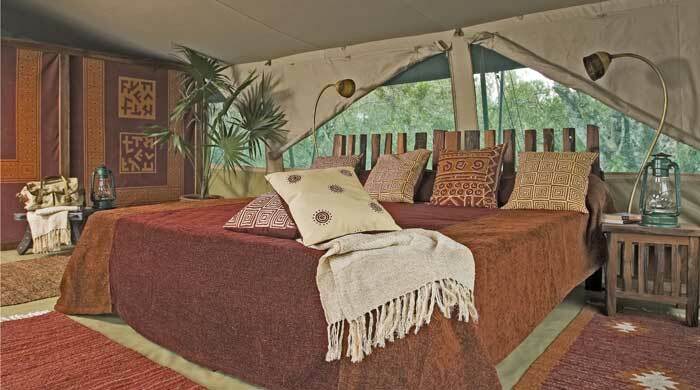 Guests can also enjoy private visits to the Sanctuary outside the normal visiting hours. 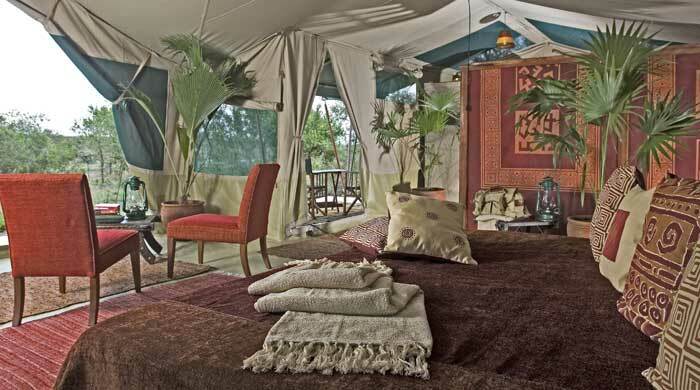 Back at the camp itself, the cosy lounge tent has a superb selection of books and offers a great spot to relax between activities.